Justin Raimondo is the head writer at Antiwar.com and he was the man who first got me into writing geopolitical stuff back in 2001 when his analysis of the Hainan Spy Plane Incident was so salient and clear that I just had to give him his propers. He asked me if I could write about the man on the street in China and there it was. Justin is always several pages ahead of the crowd when it comes to trends in the world, be they economic, political or any other. He just has the clear vision. 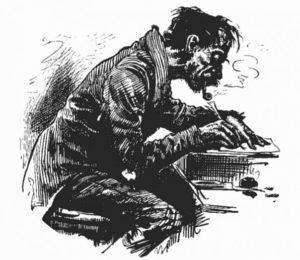 And when a sane man writes in a society of insanity, well one’s tone might get strident and slightly angry. There is no peace for the rational man. yes. if you read Justin’s column you will see that his is a response to the FT piece. He quotes Gideon throughout and discusses the liberal fascination with world government. Antiwar.com is libertarian btw … so they naturally support regionalism and individual freedom over centralized rule and collective purpose. my bad, I left the previous comment in haste before reading the antiwar article in its entirety. He has an interesting take, although I think a point that gets overlooked too often is that the market is saying this painful adjustment has to happen to regulate the global financial system for its own well being. The world government thing seems a long way off for a number of reasons listed, but this crisis is nowhere near the magnitude that would be required to make that happen. this is the worst financial event in generations, and in large part helped elect a progressive black president, but to put it in perspective it’s not nearly as dangerous as the great depression (in 1932 GDP was down 10%+ and unemployment was pushing 25%, compared to the losses today which are meager in this context). regionalism seems silly to me because specialization benefits the individual and the group, locally and globally. if you were to switch to only regionally produced products the prices would skyrocket and the quality would plummet. anyone can choose to be only a regional consumer but it doesn’t make much practical sense. granted there has to be a balance between country village and walmart-dominated suburb.